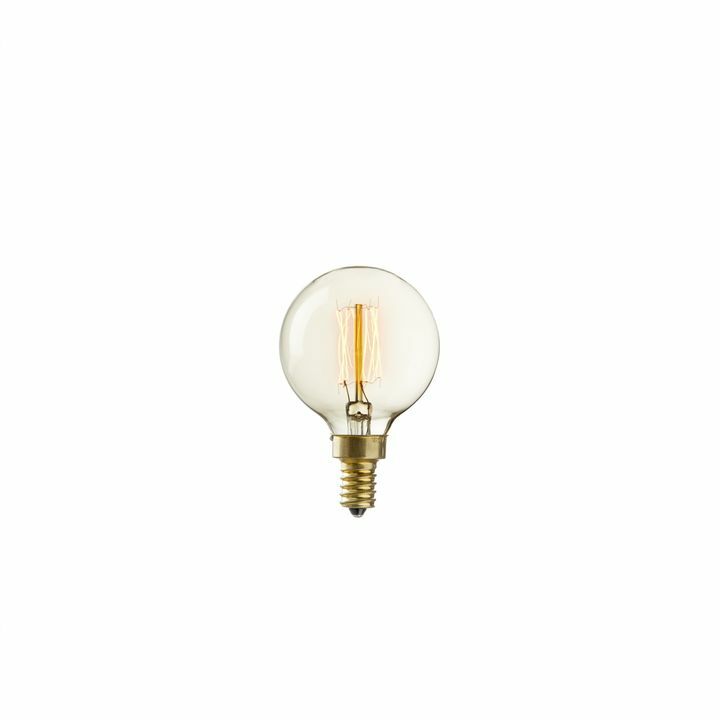 There are only 3092 available of the Williamsburg Mini T28 Vintage Candelabra Bulb 40W (E12) - Single. Your selected quantity has been adjusted. 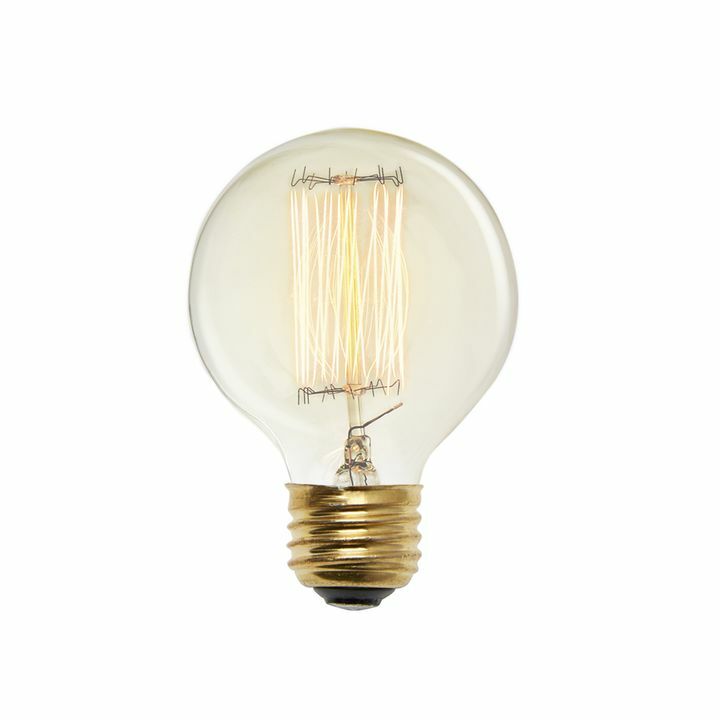 Brooklyn Bulb Co. introduces an exclusive mini versions of our popular vintage bulb series. 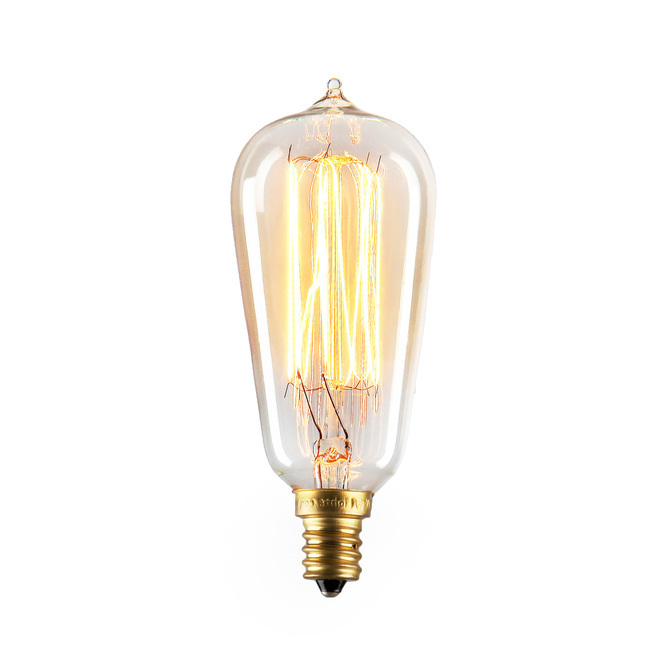 Artfully crafted with classic shapes, hand-woven thread filament and clear glass, each mini 40W bulb fits a standard E12 candelabra socket, making it a fun alternative to traditional chandelier bulbs. 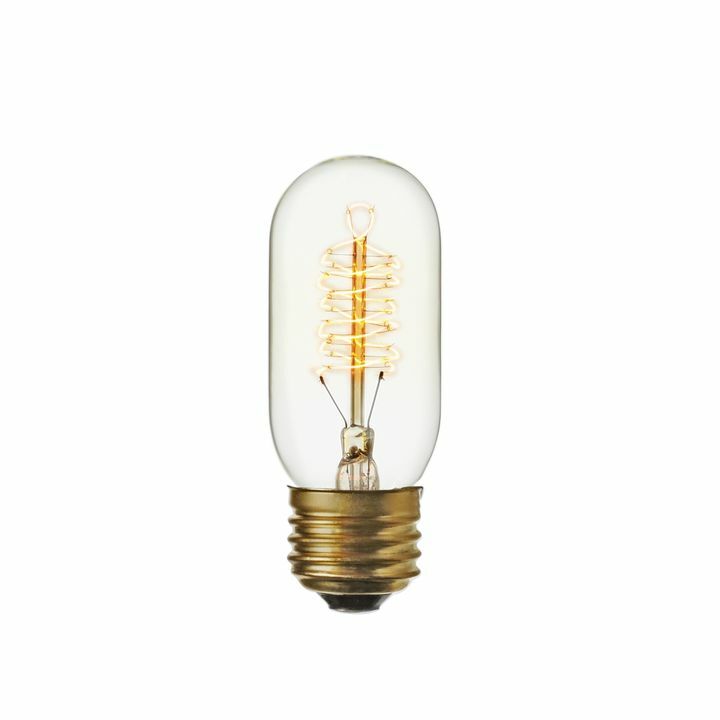 Each bulb illuminates with a warm amber glow, filling any space with the utilitarian ambiance reminiscent of the original tungsten filament bulbs of the mid-20th Century, maintaining a longer lifespan than typical household bulbs. 1" x 1" x 3.5"
Apparently all the bulbs sold by Lights.com are amber orange hue. I love the style bulb but the orange hue looks terrible with my silver chandelier. The bulbs also give off very little light. Can these candelabra bulbs go in antique fixtures? The Williamsburg mini looks great in vintage fixtures. To make sure that the bulbs will work in the fixture, check the fixture and make sure it has a maximum wattage of at least 40w per socket, and that it uses bulbs with an E12 base. Does it come in LED? 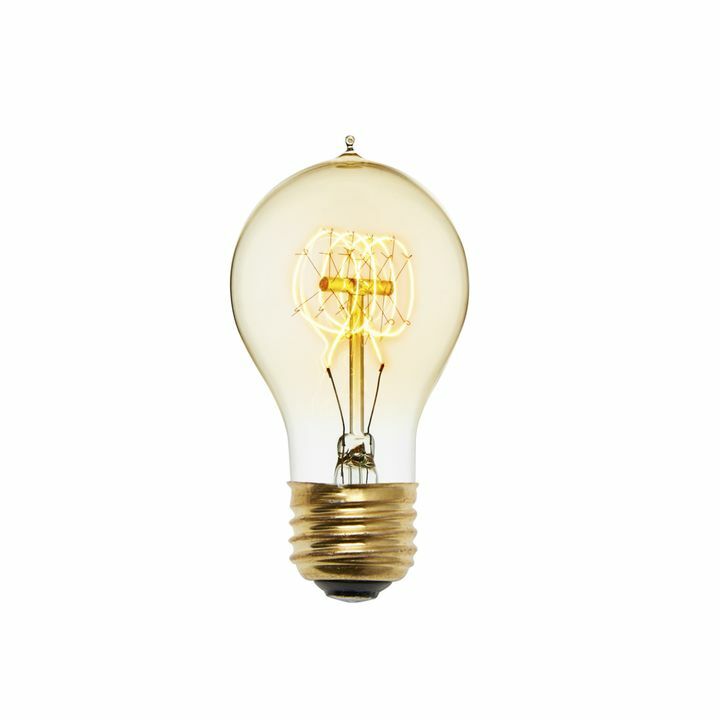 We don't have the Williamsburg Mini in LED just yet, but we're working on it! 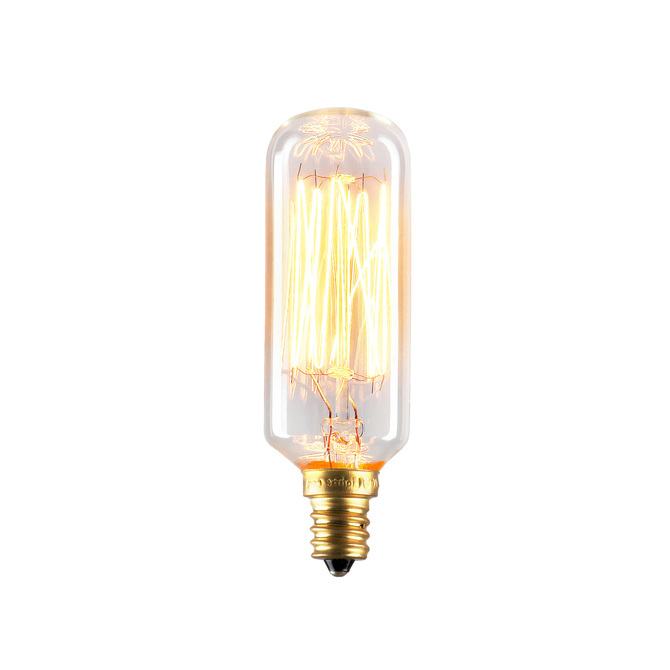 Right now we have two different E12 candelabra bulbs in LED: The Crystal Torpedo and the Carlton. Is this for Chandeliers only? The Williamsburg Mini looks beautiful in all kinds of fixtures, including chandeliers, vanities, lamps, and wall sconces. 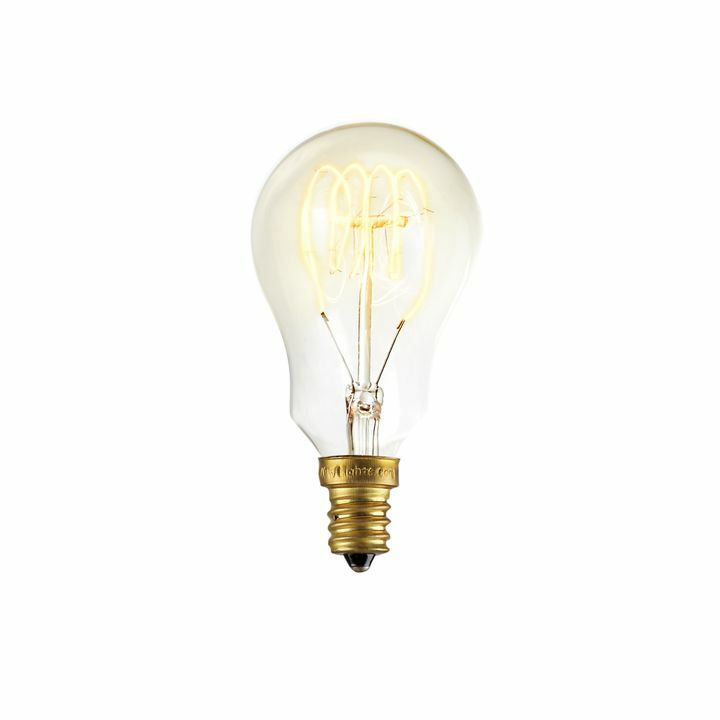 You can tell if the bulb will work with the fixture, make sure it has a maximum wattage of at least 40w per socket, and that it uses bulbs with an E12 base.